I am currently an AmeriCorps member, and I like to help my peers out when I can. 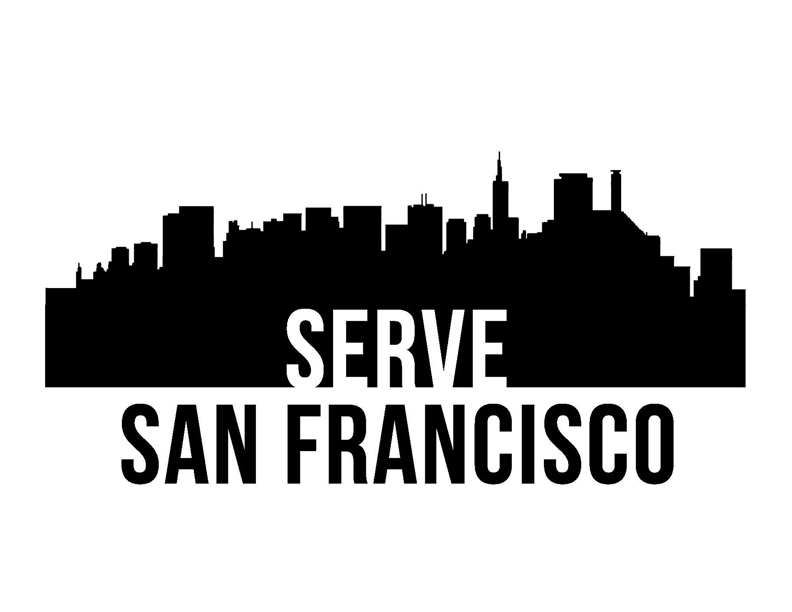 When another member of my program needed help with t shirts, I volunteered my services. 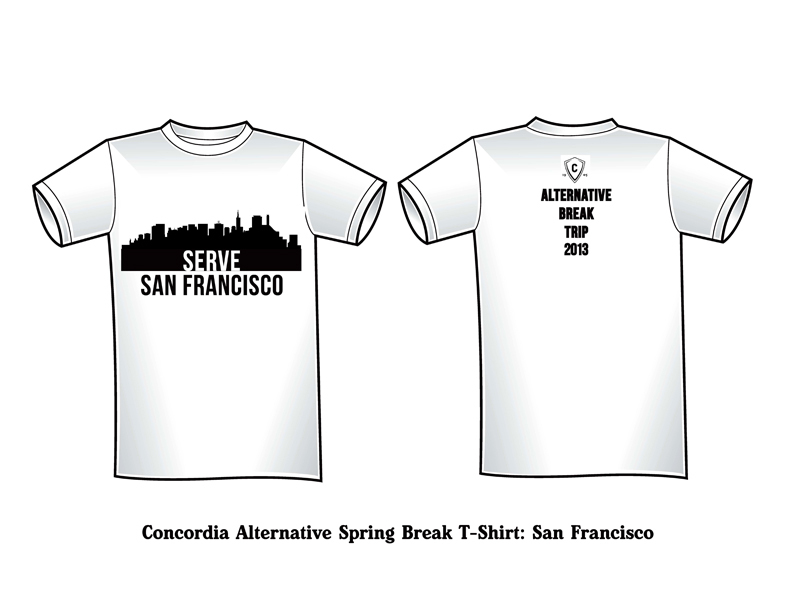 Her group is going on several alternative spring break trips, and they need to outfit everyone in t shirts. This is an idea from one of the students she works with. 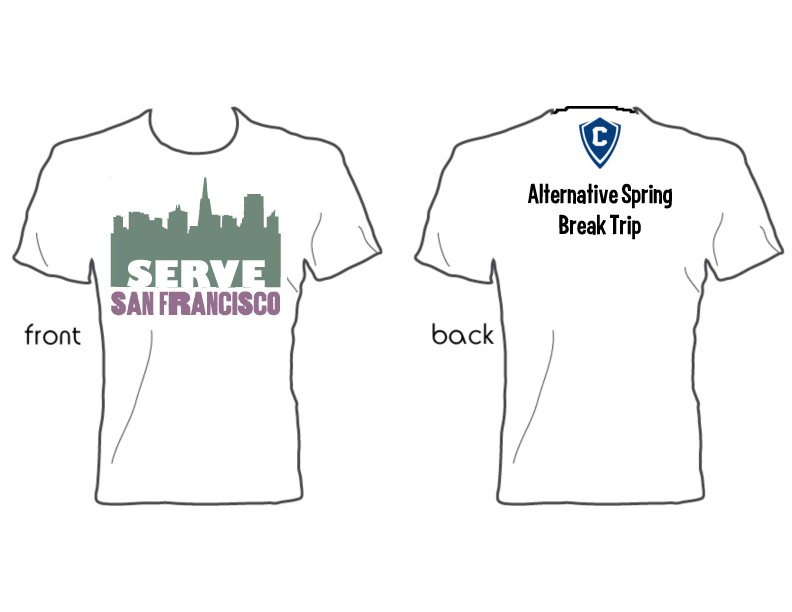 It was a basic design for their upcoming trip to San Francisco. However, I wanted to try and give them something with a little more character than a city skyline. I find that it’s really hard to distinguish city skylines from each other unless there are strong visual indicators (like the Eiffel Tower in Paris), so I wanted to do something else. 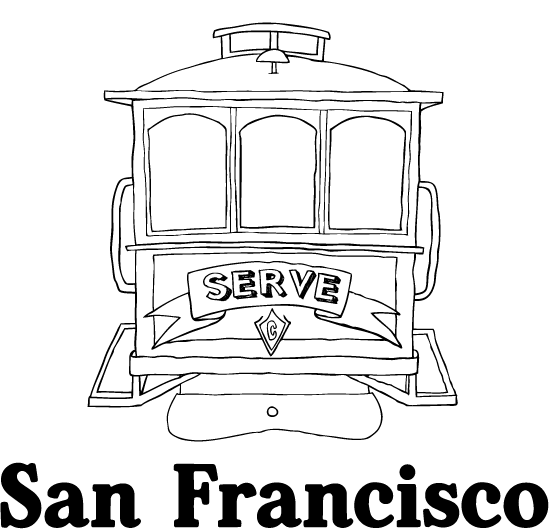 I drew a cable car, since I associate them with San Francisco. 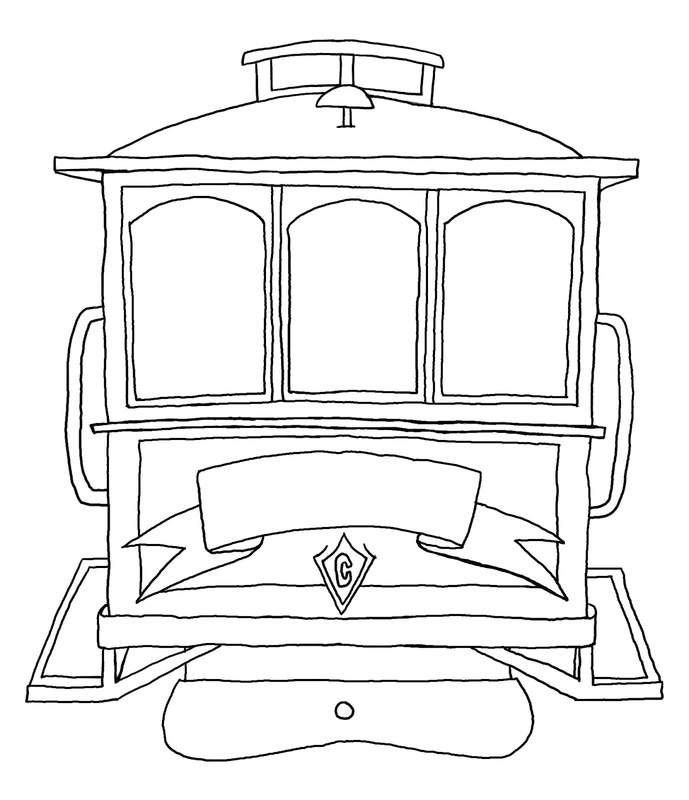 Above is the basic sketch for the cable car, based on some old travel posters I found on Google. This is was what I submitted to them for the front of the t shirt. I didn’t veer very far from their original idea for the back. So there you have it. I learned not to mess with a design idea they really liked, because it cost me time and energy (especially because it was all pro-bono stuff). Meh. I still like my cable car drawing. I just realized this post could have been very timely had I posted it the night of the blue moon. However I wasn’t thinking about that, so you’ll get this post now. 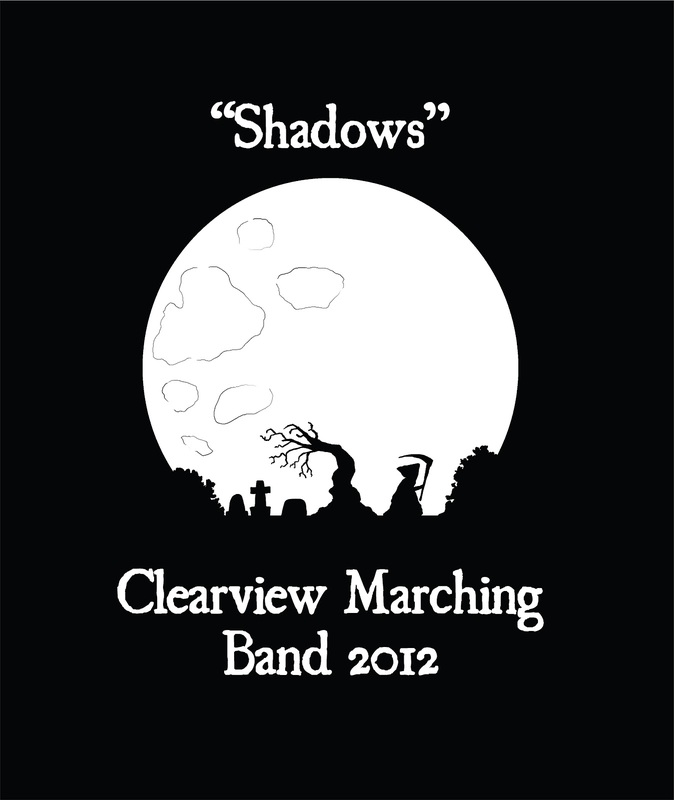 I had the pleasure of designing a t-shirt for my high school marching band this year (I also did it last year – I’ll have to find those images for another entry). 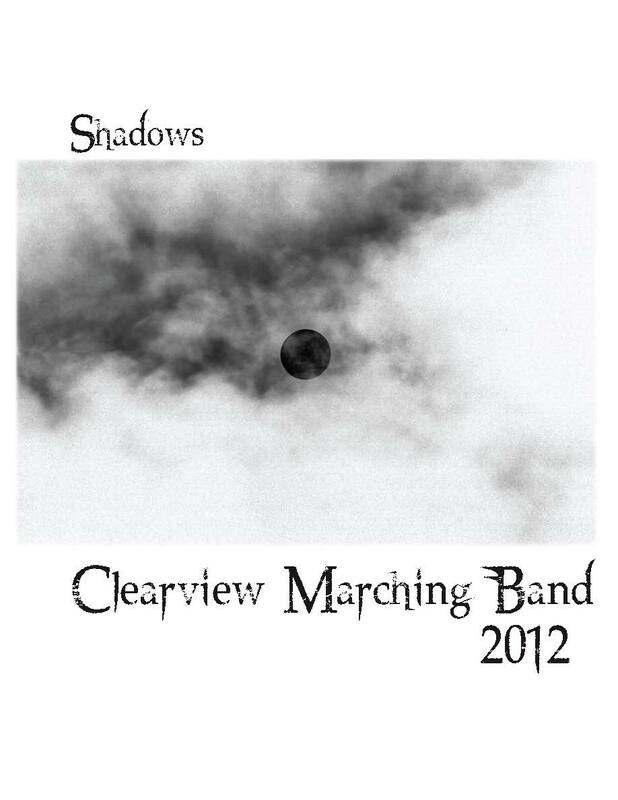 The theme for their show is “Shadows” and it features “A Night on Bald Mountain”. I watched the Fantasia animated clip for that tune and had a pretty complicated idea in mind involving demons and witches and skeletons. Since I’m a lazy bum I didn’t do much to flesh out the idea, which worked out to my favor, because the band director wanted something involving the moon. They have a backdrop for the field of a giant moon and clouds, so he wanted that idea to translate to the t-shirt. I figured the idea would be super easy, and I’d whip something out in no time. Not the case my friends. I struggled for a bit before landing on a concept. 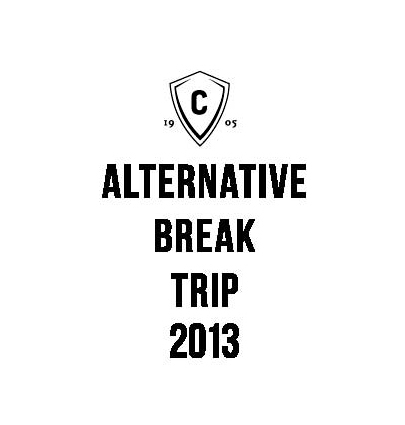 Mind you, this is the inverted image because it would be white ink printed on a black t-shirt. I spent way too much time trying to make it work, it was so uninspired. I was also concerned about how well the image would print on a t-shirt, because there are a lot of gray tones in that image that might not come through in a one color print (I took a screenprinting class in college so I have a little bit of experience with setting up silkscreens). 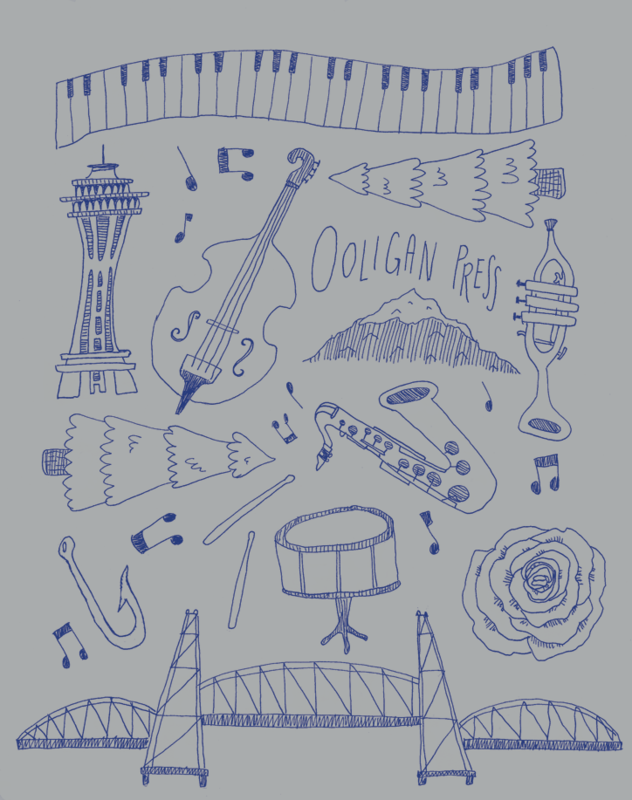 Granted, this isn’t terrible, but I knew the image wasn’t going to translate too well to the screenprinting process. 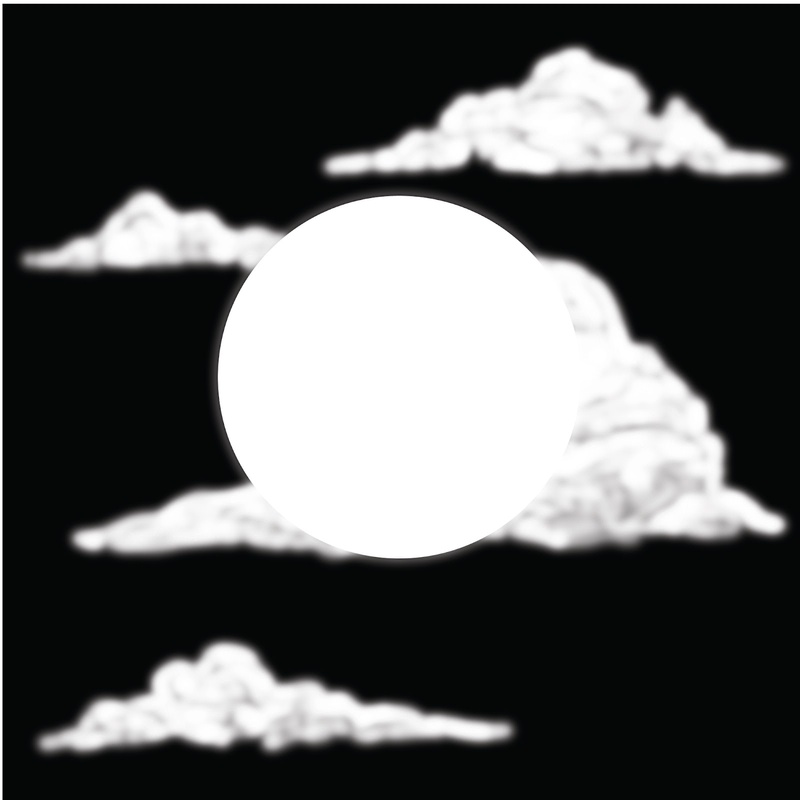 Plus there was no narrative – just a moon and some clouds. I didn’t like this either, but at least I got some practice with Photoshop brushes. Finally inspiration struck! 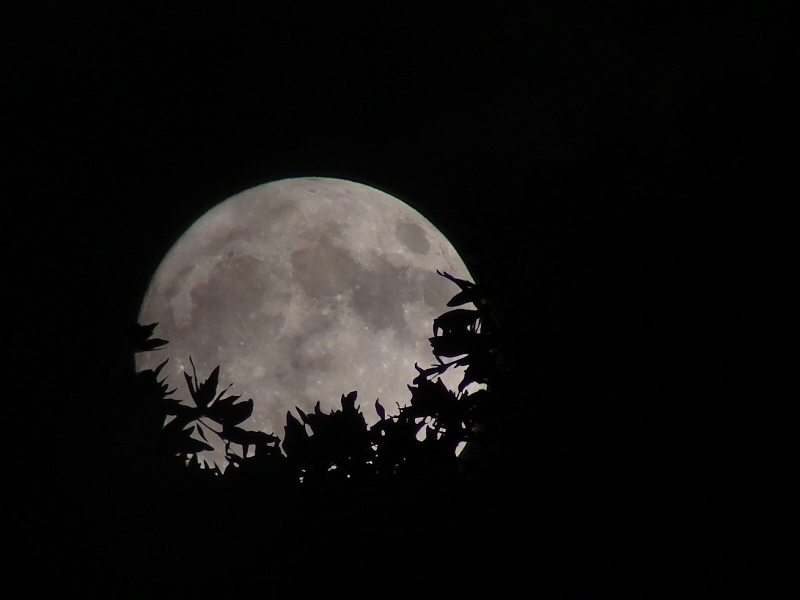 I was looking at pictures of full moons and I really liked the effect of shadows of objects in front of the moon. It was a really nice framing device. Once I came up with that concept, the rough sketch came out easy peasy. 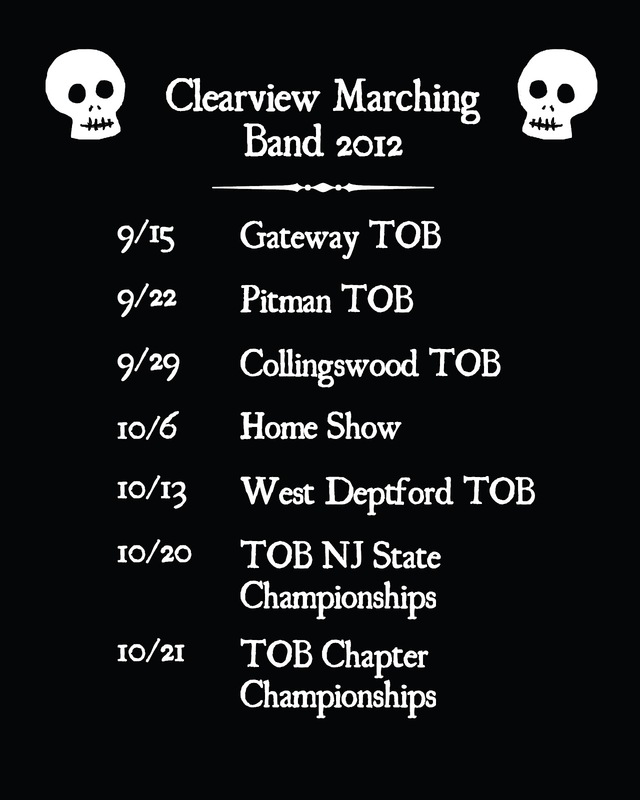 This is the final result for the front of the t-shirt. I was very happy I was able to add a slightly creepy narrative to the illustration and figure out a way to “ground” the moon. Whew. That was a wordy post. Next time I’ll just post doodles of kittens or something. Oh yes, one more tidbit of information: all of the images for this shirt were drawn with my Wacom tablet. I almost always scan in a sketch and work on top of it, but this time I drew on blank layers in Photoshop while looking at my sketch. I saved a lot of time by cutting out that middle step. Perhaps I will start doodling on my tablet more often.